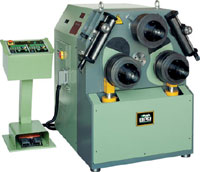 •Universal 3-roller section bending machine designed for curving section bars commonly found on the market. 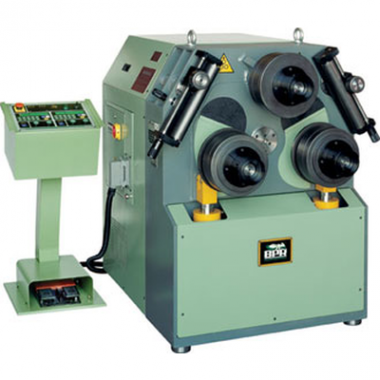 •Transmission of rotation to the rollers is by means of a kinematic device placed at the rear of the machine driven is hydraulic controlled by “OVER CENTER” valves. 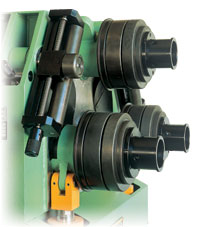 •The lower rollers with orbital positioning movement determine the bending radius of the section to be processed. 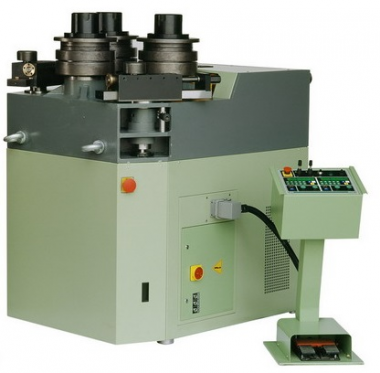 •The movement is shown trought double control panel with digital display capable of storing 20 bending programs, each containing 20 steps or bending roll stop points. •The frame is in pantographed steel electrowelded and submitted to hot stress treatment. •Gears are in carbon steel laminated bar. 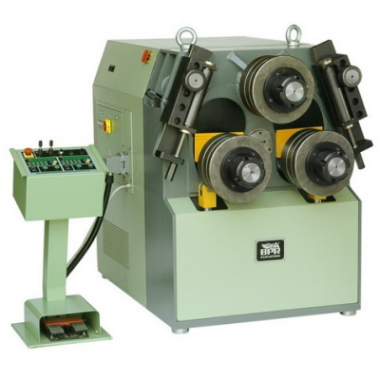 •The standard set of rollers is in alloy steel submitted to surface hardening.